Newton, which was India's official entry to the Oscars, won the National Award for Best Hindi Film on Friday. Newton also fetched a Special Mention Award for Pankaj Tripathi. Newton, which was sent to be considered for the Best Foreign Language Film category at the Oscars 2018, could not make it to the final cut last year. Other regional movies which won the National Awards include Bengali film Mayurakshi, Ladakhi film Walking With The Wind, Assamese film Ishu and Telugu film Ghazi After the big win, Amit V Masurkar, who helmed the dark comedy, said in a statement that credit for this huge recognition goes to the film's "incredible" team. "I want to thank the jury for awarding Newton the National Award for Best Film. I hope this award and the film's commercial success creates a bigger space for relevant political cinema. This wouldn't have been possible without an incredible cast, crew, and the love and support from the people of Chhattisgarh where we shot the film," said Newton director. This is what Pankaj Tripathi said after the win: "I am absolutely delighted. I had no idea I was even in the running. It feels amazing to know that the whole country thought my role in Newton was one of my best and to win the Special Mention Award at the highest film award in India is just exhilarating. My director and co-actors made it so easy for me to act in this film." The National Awards, which were announced in New Delhi, also posthumously honoured two iconic legends of cinema. Sridevi won her first National Award - she won Best Actress for playing the protagonist in MOM while Vinod Khanna was honoured with Dadasaheb Phalke Award - India's highest film honour. 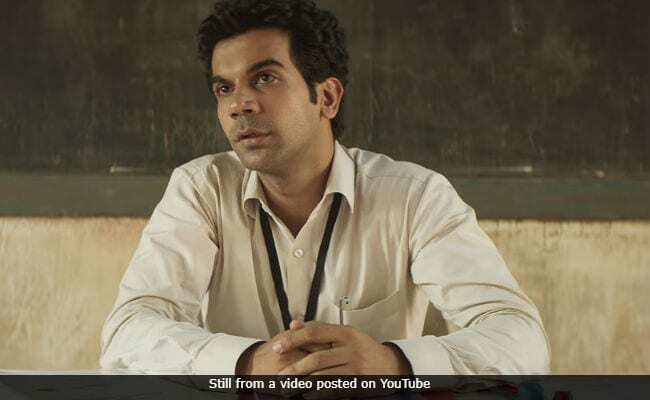 Newton, which released in September last year, was critically acclaimed for both the treatment of the subject and the performance of its lead actor Rajkummar Rao. The actor portrayed the role of an election officer, who was sent to the Maoist-infested areas of Chhattisgarh to conduct an election. Newton also starred Anjali Patil and Raghubir Yadav in key roles. Congratulations, Team Newton.